On this day in history, September 11, 1777, the American loss at the Battle of Brandywine opens the door for the British to take the American capital, Philadelphia. British General William Howe landed 17,000 troops at Head of Elk, Maryland in late August to capture Philadelphia. George Washington and the Continental Army were camped between the British and Philadelphia. For two weeks, the two armies maneuvered around one another, with only minor skirmishes taking place. 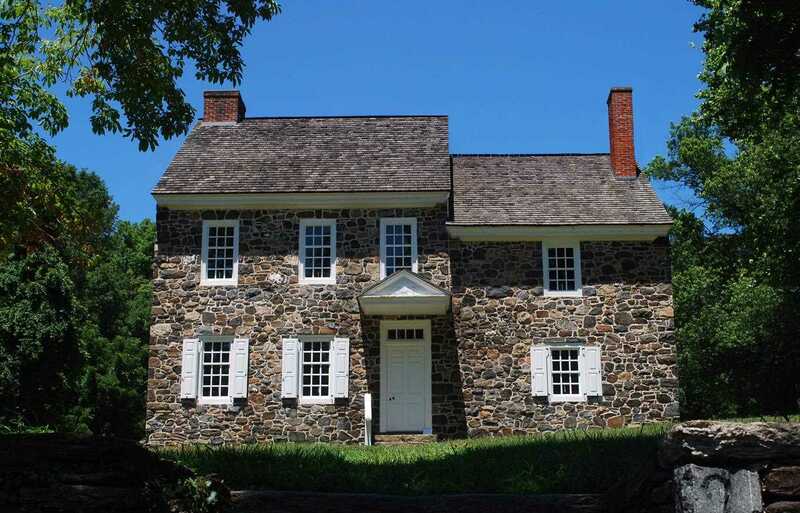 As the British army began moving north, Washington made his stand at Chadd's Ford over the Brandywine Creek on the "Great Road" from Baltimore to Philadelphia. Washington placed troops at all the fords from Pyle's Ford below Chadd's Ford, to Wistar's Ford north of Chadd's Ford. Washington had covered all the main crossings for several miles up and down the creek and believed this would force the British to cross at Chadd's Ford, which was the best defensible position. Unfortunately, Washington's intelligence of the area was not as good as Howe's. General Howe's troops gathered at Kennett Square and, early on the morning of September 11th, rather than sending his entire force to fight the Continentals at Chadd's Ford, he split his army in two and sent only 5,000 men to the ford. The rest of Howe's army marched north under Lieutenant General Charles Cornwallis and crossed further up the creek at fords Washington was unaware of, then marched south upon Washington's right flank. The fighting began on the approach to Chadd's Ford when the Americans opened fire on the British. The British soldiers took cover on the grounds of a Quaker meetinghouse, while a church service was underway inside. The fighting began mid-morning and the British eventually pushed the Americans back beyond the ford. The great surprise took place, however, when Cornwallis' army fell on the right flank at about 2pm. The Americans were completely surprised and quickly took many casualties. Generals John Sullivan, Adam Stephens and William Alexander quickly repositioned their troops and held off the British for a few hours, while the rest of the army began a retreat. By 4pm, Washington and General Nathanael Greene arrived with reinforcements. As darkness approached, Greene placed the troops of General George Weedon at Dilworth to block the British from advancing. This allowed the rest of the army to retreat to safety, most of whom arrived at Chester by midnight. 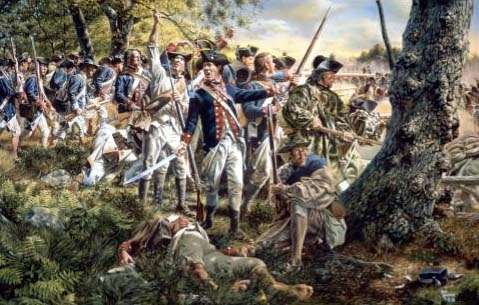 The Battle of Brandywine was a great loss for the Americans, but the Continental Army soldiers were not discouraged after the battle, even though they suffered more than 1,000 dead and wounded. Washington wrote to Congress that his army had survived to fight another day. For the next two weeks the armies continued to maneuver around one another, but on September 26, General Howe marched into Philadelphia unopposed. Congress had fled to York and Philadelphia would be occupied for the next 9 months.